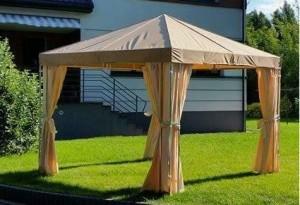 Within our offer there is also a wide range of canopy tents to be placed in one’s garden which will both add beauty and functionality to the place. 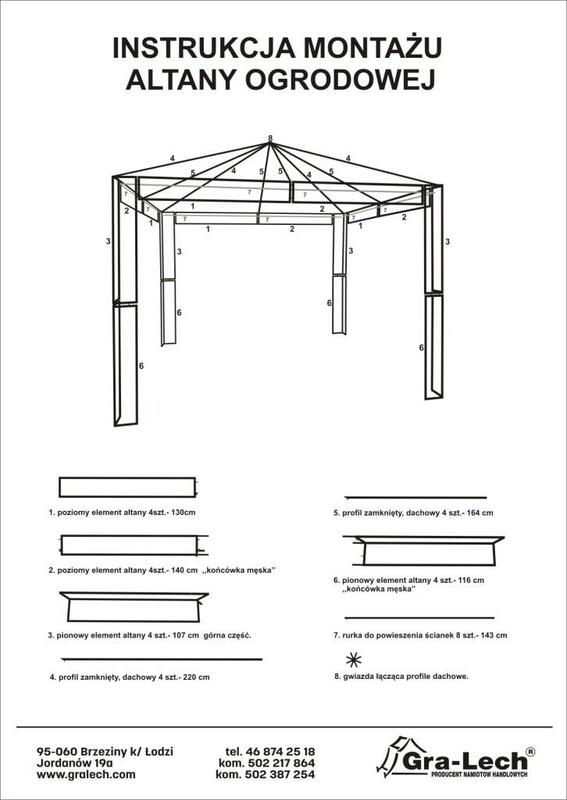 The unique and solid structure, designed for quick assembly, provides shelter against the sun and rain during the summertime. Its supporting structure does not contain any plastic elements and is completely made of metal. 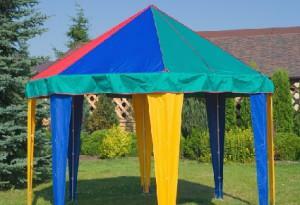 These are the canopy tents whose supporting structure is comprised of pipes with the diameter of 25 mm. They are available in 3 sizes: 3×3, 4×3 and of the diameter of 3,5 m.
It is possible to additionally purchase plain side walls or side walls with a window inserted. 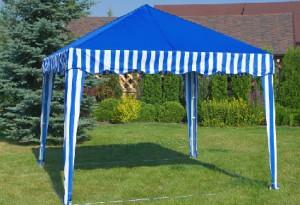 The tarpaulin is made of waterproof, double impregnated polyester fabric of the weight of 230 g/sq m.
This is a supporting structure comprised of square profiles. It is characterised by outstanding stability and impressive appearance. We manufacture it at the size of 3×3. 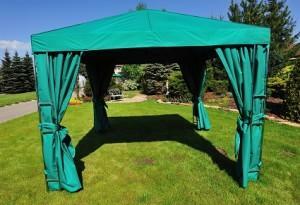 The set also includes additional side walls which made be attached to the canopy tent or pushed to the side when attached.